In spirit of Coachella, our Parisian friends head to LA to present a very special Kitsuné Club Night! 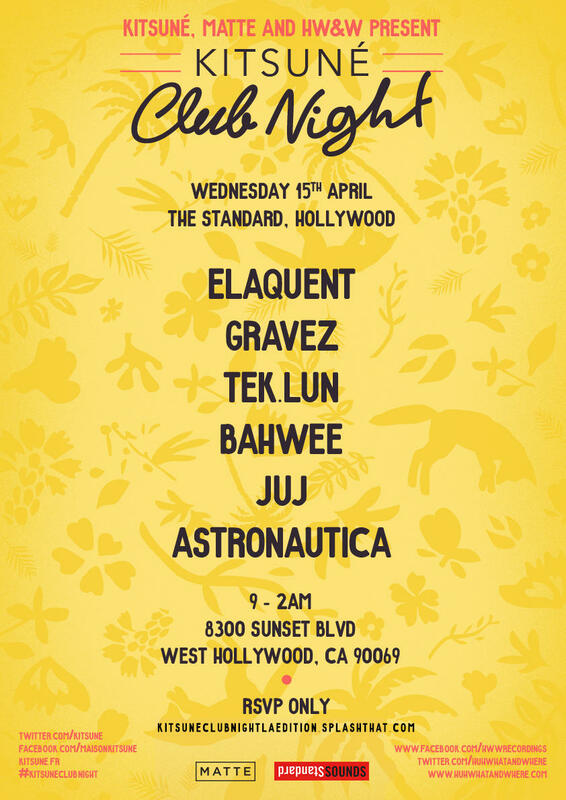 In collaboration with LA based collective HW&W, Kitsuné presents a local lineup featuring HW&W's founder Bahwee, heavy hitter and trip hop master Elaquent, the lovely Astronautica, and friends Gravez, Tek.lun, and Juj. There's also a big special guest that we can't divulge, but you'll be mad to miss it. *RSVP does not guarantee admission due to capacity limitations and door discretion.